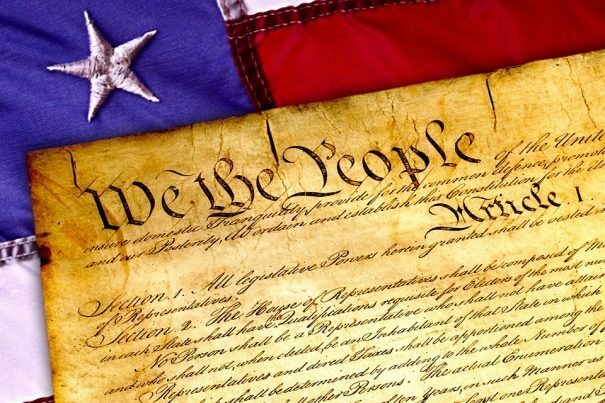 In an impactful column earlier this week, Natural News founder/editor Mike Adams, the Health Ranger and a huge advocate for personal liberty, proclaimed that Americans’ efforts to reclaim their constitutional republic by means of voting has officially become moot. Noting that Republicans especially – whom Americans gave a congressional majority to oppose the over-spending, over-regulation and Left-wing cultural lunacy that has defined Washington, D.C. for decades – surrendered to the system once again in approving a $1.2 trillion budget that does not address in any way President Donald J. Trump’s legislative and policy objectives. He’s right, of course. Even the so-called Obamacare “repeal” measure that the House barely passed (and the Senate will water down even further, if it passes at all) doesn’t really do much to unravel the Affordable Care Act. As the Texas Public Policy Foundation stated, Washington will still be in control of our health care. That means the billions in taxpayer-supported subsidies will continue, federal control will be maintained for the most part, and the bulk of Obamacare regulations that drove premiums and deductibles sky-high in the first place also remain. Republicans are declaring a major legislative victory; Democrats are claiming the minor changes will kill us all. Both are being dishonest, let’s be crystal clear about that. So what will work to restore our republic? How can Americans – Left, Right, and Center – regain control of their government and legitimately devolve power out of Washington and to the states and the people, where our founders intended it to be? Simple: An Article V Convention of States, and on Thursday Texas became the 11th state to pass a measure calling for one. Just 34 states are needed to convene one; the purpose is to propose constitutional amendments that go directly to states for ratification (or rejection). The process bypasses Congress altogether, which is the point. As Adams said, Washington cannot and will not fix Washington. Obamacare repeal and replace is a prime example. It is an absolute disaster for the vast majority of Americans and companies who are being financially crippled by the law’s onerous requirements and heavy regulations. And yet, Americans can’t get Congress to pass legislation getting the federal government out of the business of regulating our health care. It’s ridiculous. But it’s not going to change until enough state legislatures have had enough and call for a Convention of States. This isn’t a “conservative” or “liberal” issue, it’s a “liberty” issue. Giving more power back to states lets residents of California decide what healthcare system works best for them, Texas for Texas residents, and so on, just as one example. The only way the swamp will be drained in Washington is if the people, through their state elected officials, do it themselves. The time has come.